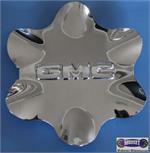 5094a, CENTER CAP USED, 99-00, GMC, YUKON, DENALI, CHROME WITH RAISED GMC LOGO AND 6 RAISES FOR SPOKES WITH CUT OUT TO MATCH SPOKES. 6025, CENTER CAP COPY, 96-99, OLDS, AURORA, CHROME, 6 RAISES MATCH SPOKES, 6 PLASTIC CLIPS & WIRE RING, 8-1/2" DIA. 6025, CENTER CAP COPY, 96-99, Olds, Aurora. CHROME HAS 6 RAISES TO MATCH SPOKES, 6 PLASTIC CLIPS & WIRE RING, 8-1/2" DIA. 62389, CENTER CAP USED, 01-02, NISSAN, QUEST, GLE, SPARKLE SILVER PLASTIC CAP, 6 RAISES W/FLAT TOPS MATCH SPOKES, RAISED WORD NISSAN, 6-1/4" DIA. 69450, TRIM RING COPY, 15", 04-08, TOYOTA, PRIUS, SPARKLE SILVER, 6 RAISES TO MATCH SPOKE, 2" WIDE, 6 CLIPS & WIRE RING, FOR 6 SPOKE, ALLOY. 69450, TRIM RINGS, 15", 04-08, TOYOTA, PRIUS, SPARKLE SILVER, 6 RAISES TO MATCH SPOKE, 2" WIDE, 6 CLIPS & WIRE RING, FOR 6 SPOKE, ALLOY RIM.